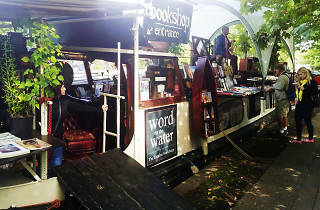 A 1920s Dutch barge has been lovingly transformed into a floating bookshop. It used to travel along Regent's Canal, but it’s now taken up permanent residence by Granary Square in King’s Cross. As well as keenly priced books they boast a woodburning stove, friendly dog and occasional live jazz performances. Check their Facebook page for details of book talks and events. A must visit place for every bibliophile! Do you like books? Check? Do you like houseboats? Check. Do you like to support independent sellers/original ideas? Check. The Word on the Water is second hand bookshop, a little gem in the Kings Cross area with an amazing atmosphere, a great collection and even a stage to perform. The owners are super lovely and I definitely move in if I could. A charming place to browse and buy books, whether used or new. There's a fragrant stove offering warmth during the cold months, and an eclectic collection of books along the sides of this narrowboat. 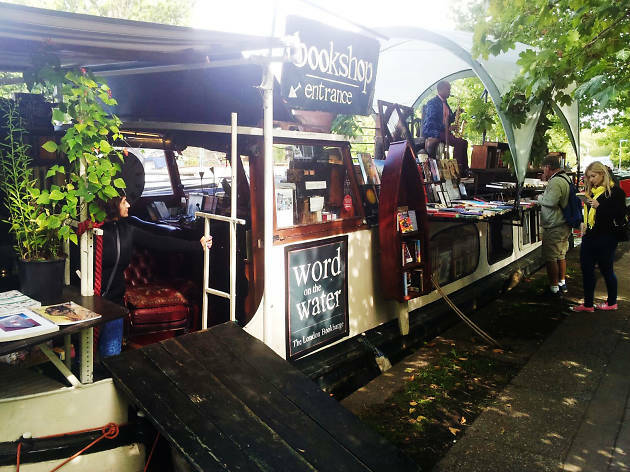 Can't get more relaxing than a bookshop on a boat. Wonderful guy, wonderful barge, sometimes has live music. You wont find a more atmospheric bookshop in London. Space precludes an enormous stock, but what they do have is well worth it. A great experience as well.